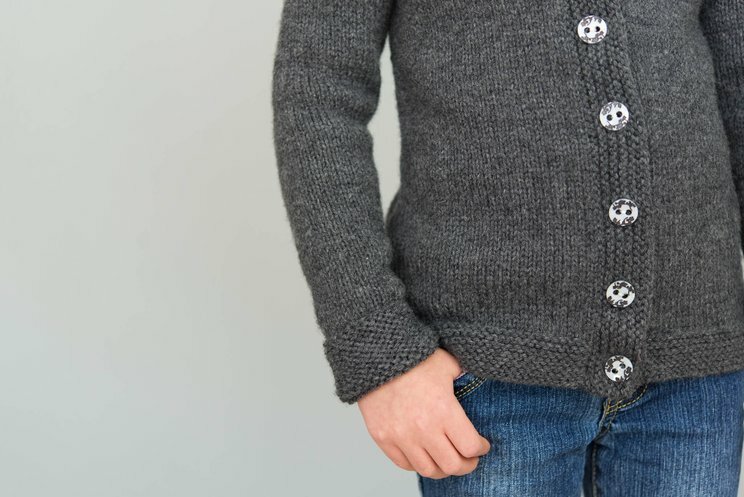 Looking for a stylish update to a classic crew-neck cardigan? Try this version, with garter stitch trims. It works well for both kids and grown-ups, and in any gauge you like. Vendavel is an average-length, long-sleeve cardigan with crew neck shaping and slim Garter stitch trims everywhere: The hem has 1.5'' (4 cm) of Garter, the sleeves 2.5'' (6.5 cm), and the button band is just 1.25'' (3 cm). 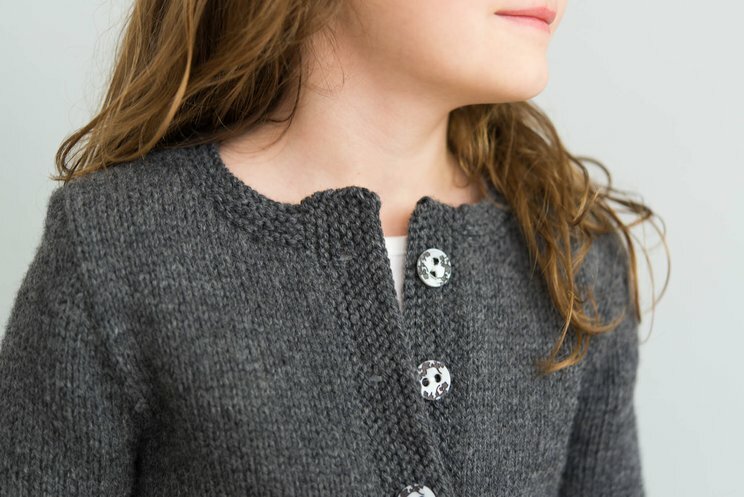 Brenna is wearing this cardigan with a child's close fit. We worked this sample in the soft, super-hard-wearing, very easy-care Berroco Vintage, in color 5107 "Cracked Pepper". 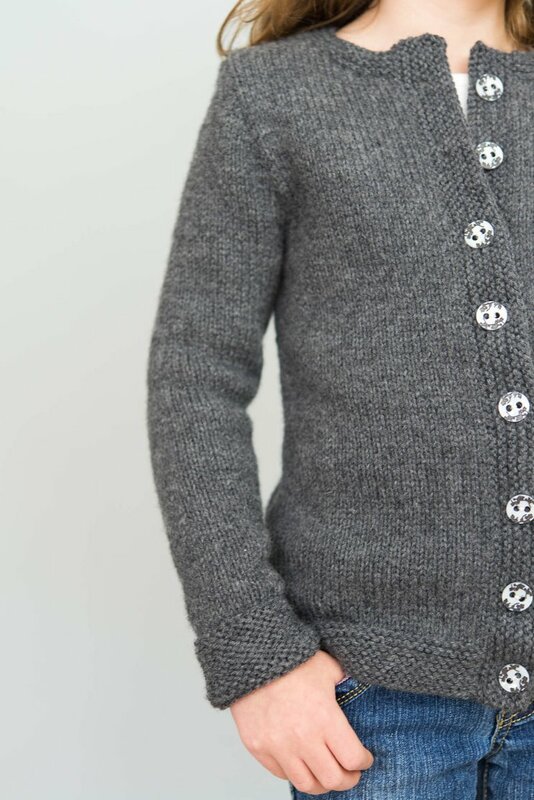 Vintage comes in many colors and several weights, and is a great choice for this sweater. Amy liked the Vintage at a gauge of 20 stitches and 28 rows to 4'' (10 cm). To make a standard-size 30 (32, 34, 36, 38, 40, 42, 44, 48, 52, 56, 60)’’ / 76 (81.5, 86.5, 91.5, 96.5, 101.5, 106.5, 112, 122, 132, 142, 152.5) cm sweater, you'll need approximately 5 (5, 6, 6, 7, 7, 8, 8, 9, 10, 10, 11) hanks of the original yarn.